We’ll kickoff the list with some really general shortcuts that you often used. 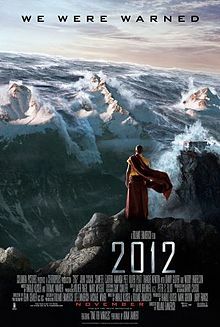 How many of you have seen the Hollywood movie “2012” that was based on a prediction of Mayan civilization according to which the world will be ended on December 21 2012 because in Mayan calender there is no date after 21st December 2012. What will be happened to the world on December 21 2012? Is it true that the world will be ended on this mentioned date? Lets explore some facts about the date of 21st December 2012. Is December 21 2012 is the end of the world? The date of December 21 2012 has acquired global attention and the awe and worldwide deliberations around this day of Apocalypse have been nothing short of an epidemic. The Apocalypse or the Doomsday implies an end of the world and the date of December 21 2012 is being considered by many as THAT day. 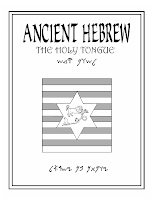 This belief takes its roots from the Mayan calendar, the Maya being a Meso-american civilization acknowledged for their art, architecture, mathematical & astronomical systems and for the only known fully developed written language of the pre-Columbian America. 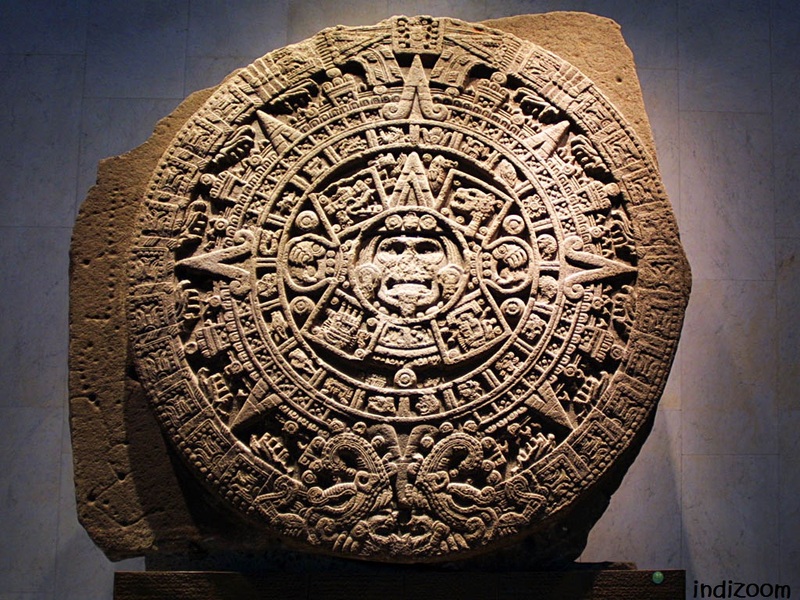 The Mayan calendar is recorded as a carving on the Aztec `sun stone’ and is, therefore, sometimes also referred to as the Aztec calendar. The calendar has no dates after the December 21 2012 and this fact has given rise to the prophecy that the world will end on this date. Of course the prophecy is not shared by one and all and there expectedly are people – from the ordinary to scientists and astrologers who believe that December 21 2012 will be like any other day and nothing unusual is going to happen on this day. 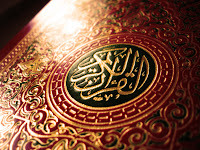 From this group of people who do not believe in the Doomsday prophecy, there are some who go as far to claim that 21st December 2012 is being deliberately and unduly capitalized upon by the `believers’ to gain either fame or money (or both) by way of selling books, ads, and the likes. 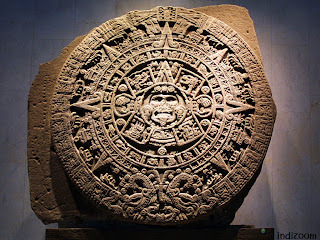 The `believers’ however claim that the Mayan civilization were obsessed with time-keeping and the Mayan calendar has been incredibly precise in terms of accurately predicting solar / lunar eclipses thousands of years into the future. That this accurate calendar mysteriously ends on December 21 2012 does signify something – the end! 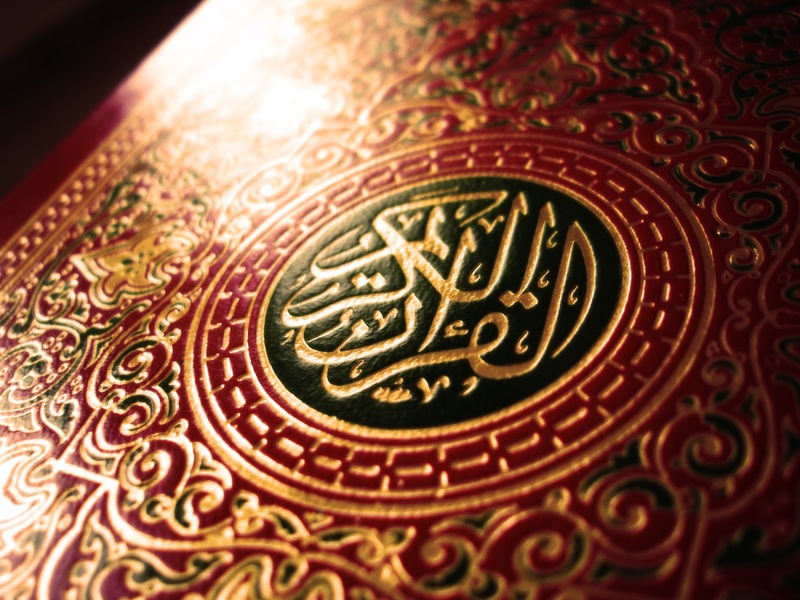 What Islam says about December 21 2012? According to Islam, there is no place of such predictions in our Life, only ALLAH knows what is going to be happened in the very next second. Also there are many signs that are yet to appear e-g, Sunrise from west, appearance of Jesus Christ, appearance of Imam-e-Mahdi and many other signs. 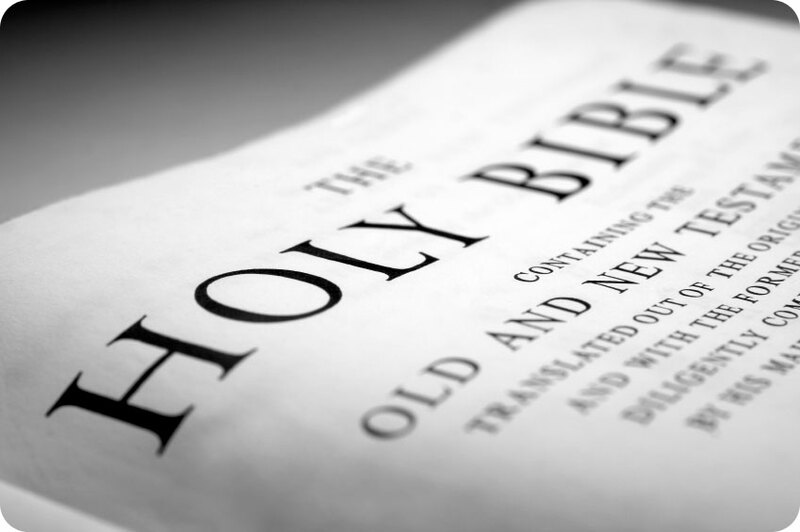 What Bible says about December 21 2012? What NASA says about December 21 2012? NASA has also predicted that the sun will reverse its magnetic poles in year 2012 – en event which may mean that harmful charged particles blasting away from the sun are more easily penetrating the earth’s atmosphere (solar storming). NASA however has not specified any particular date(s) for this event. As per numerology each number is associated with a corresponding letter. The date 12-21-12 reads as A-B-B-A-A-B. 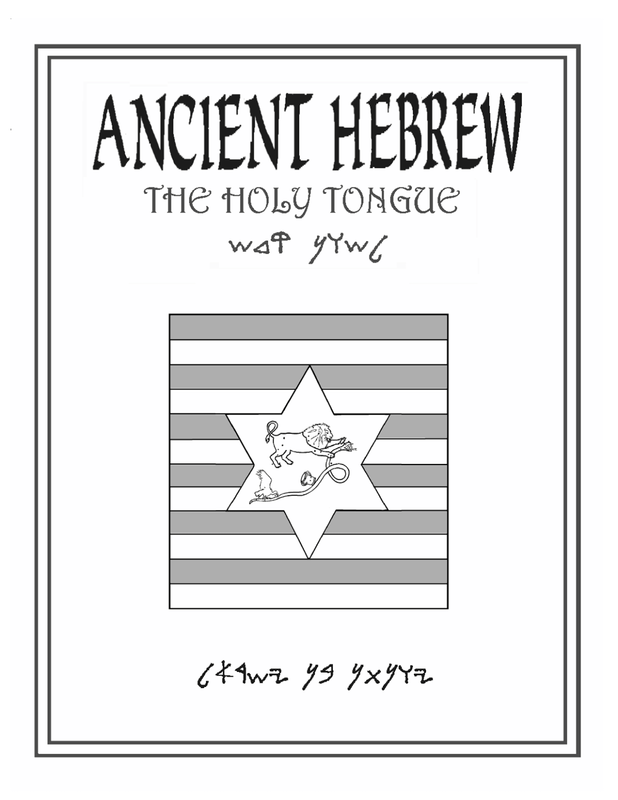 Considering that the Hebrew language is read from right to left, this date would read BA ABBA. The Hebrew translation for BA ABBA is “Father comes / is coming”. However, the people looking forward to celebrate X’mas and the New Year 2013 far outnumbers those who fear the end. 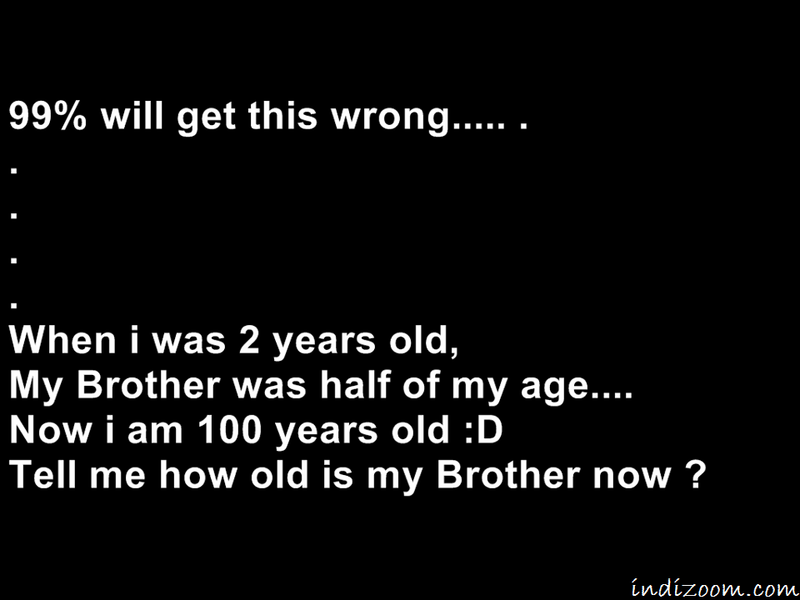 This information is useful for everyone.......!! Have U ever heard about LPG cylinder's expiry date...?? 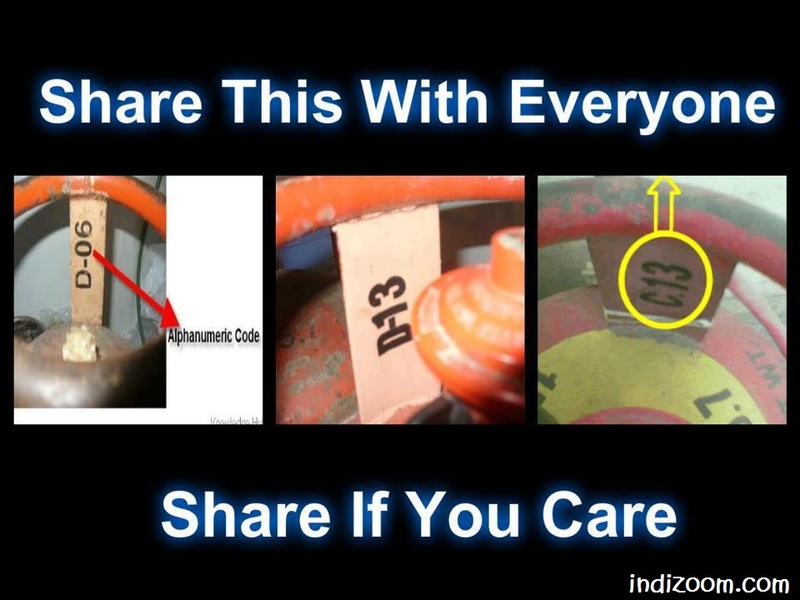 Expired Cylinders are not safe for use and may cause accidents. In this regard, please be cautious at the time of accepting any LPG cylinder from the vendor. The second example with D13 allows the cylinder to be in use Up to Dec 2013. Kindly Share this Info with everyone . Share If You Care !!! So you want to be a programmer, huh? Here are the 60 ways to learn to code online for free...Feels awesome...is it..? If you're curious about learning a programming language or looking to switch careers and become a full-time programmer, want to try to build a website or apps, or are just looking to round out your skill set, learning to code has certainly been something a lot of people have started to do lately. There's no shortage of resources for learning how to code online. University-level courses, tutorials, cheat sheets, and coding communities all offer excellent ways to pick up a new language, and maybe even a new job, too. Read on, and you'll discover 60 great places to learn how to code, for free, online. Note: Click on the Logo to visit the site. Many big names in education including MIT and Stanford offer programming courses, absolutely free. The vision of Stanford Online is to continue Stanford’s leadership in providing high-quality educational experiences to its students and to people around the world by unleashing creativity and innovation in online learning. Through iTunesU and Coursera, Stanford University offers plenty of programming courses, including Coding Together: Apps for iPhone and iPad, Programming Methodology, and Human-Computer Interaction etc. MIT(Massachusetts Institute of Technology)’s Open Courseware offers 2150 courses in a variety of topics, including Electrical Engineering and Computer Science. The free resources include online textbooks, exams, multimedia content, assignments and projects and examples – all from actual MIT courses from the last decade or so. Webcast.berkeley is the campus service for recording and publishing course and campus events for students and learners around the globe. Audio and video recordings of class lectures and special events are processed and made available to everyone through webcast.berkeley.edu. The webcast.berkeley service leverages technology to lower the overall cost of production and distribution, and make it easy for faculty to webcast their courses. Since 2001, webcast.berkeley has provided the world with a window into the UC Berkeley classroom and campus events experience via online video and audio. From UC Berkeley students to life-long learners around the globe, millions of viewers have tuned-in to view the over 16,000 hours of content available on webcast.berkeley. UC Berkeley's Computer Science department offers a huge collection of courses in programming and computing. The Open University was the world's first successful distance teaching university, founded in 1969 on the belief that communications technology could bring high quality degree-level learning to people who had not had the opportunity to attend traditional campus universities. The Open University is a world leader in modern distance learning, the pioneer of teaching and learning methods which enable people to achieve their career and life goals studying at times and in places to suit them. It has a variety of learning units in computing and ICT. The University of Southern Queensland’s OpenCourseWare (USQ OCW) provides access to free and open educational resources for faculty members, students, and self-learners throughout the world. USQ OCW does not grant credits or degrees, and does not provide access to faculty members. From the University of Southern Queensland, you'll find courses in Object Oriented Programming in C++ and Creating Interactive Multimedia. ArsDigita University (ADU) was a one-year, intensive post-baccalaureate program in Computer Science based on the undergraduate course of study at the Massachusetts Institute of Technology (MIT). It was financed and supported by the ArsDigita Foundation, a non-profit organization begun by ArsDigita Corporation. 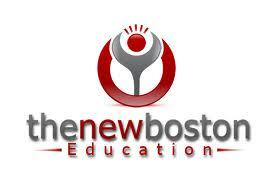 The majority of the instructors were professors from MIT and the program was tuition free. In ArsDigita's curriculum, you'll find excellent courses for programming design, computer science, and even artificial intelligence. If you're just dipping your toes into programming, or you want to find a variety of resources, these sites offer several different ways to learn how to code. Udacity was founded by three roboticists who believed much of the educational value of their university classes could be offered online. 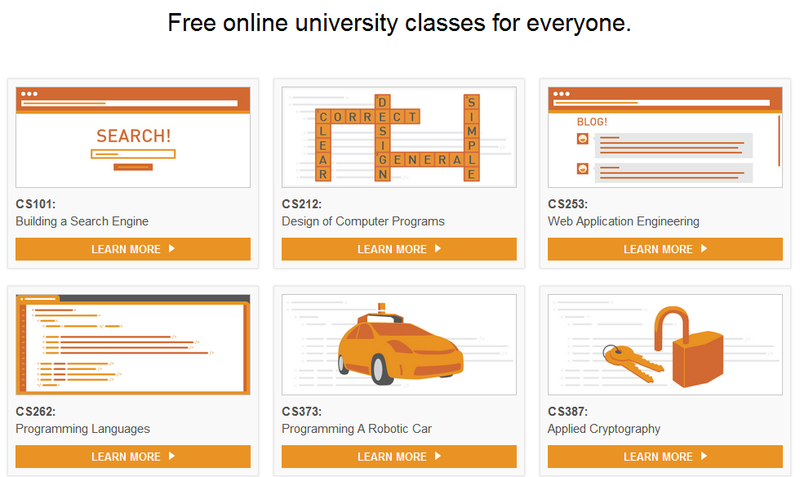 Udacity is a free service currently with 15 classes and 4 to add soon where, “You learn by solving challenging problems… with world-renowned university instructors.” The classes cover topics that seemed geared to not only teaching you to code, but also giving you a solid grounding in math, physics and even, “How to Build a Startup”. Some of the courses they offers are "Introduction to Computer Science (CS101) which helps students "How to Build a Search Engine"(Web Crawler). "How to Build a Blog" in their "Web Development (CS253)" course, "How to make a Social Network" in their course "Algorithms (CS215)" And even more like "How to make a Web Browser", "How to make Software Fail", "How to Debug Programs" and "How to make a Self Driving Car" taught by Sebastian Thrun one of the founder of Udacity and the man behind "Google Street View" etc. The Khan Academy is an organization on a mission found in 2006 by Bangladeshi-Indian-American educator Salman Khan. It is not-for-profit with the goal of changing education for the better by providing a free world-class education for anyone anywhere. Video tutorial site "Khan Academy" offers computer science courses with an introduction to programming and computer science, including lots of Python resources. Codecademy was made extra famous at the beginning of this year when NYC Mayor Michael Bloomberg tweeted out that he was going to use the site to learn to code in 2012. Regardless, Codecademy is a popular and free site that adds gamification to the learning process if you want to learn with friends. Codecademy also runs CodeYear. Code Year is a project that provides participants with a new interactive programming lesson each week. To motivate users to participate, the site offers encouraging feedback, badges for completing exercises, as well as a function that keeps track of a user's total score and displays it to others. Udemy is an online learning platform (website) that allows instructors to host courses. The site was launched by Eren Bali, Oktay Caglar, and Gagan Biyani in 2010.Udemy offers courses (some free, some paid) on a wide range of subjects, and boasts instructors including Mark Zuckerberg and Marissa Mayer. Google Developers University Consortium is a collaborative community of academics who use Google's tools and developer platforms for instruction and research. They are providing teachers and researchers with a platform to share their materials and communicate freely with other faculty worldwide. This is a great place for the academic community to make announcements about their work, highlight successes, publish research, exchange content, and share their enthusiasm and knowledge with each other. Google also announced a new program Google Developers Academy. Google Developers Academy provides a set of online classes spanning many different Google developer tools and platforms. The course materials found on their site provide developers of all skill levels with curriculum-based learning that goes beyond the traditional technical documentation. It’s Google and it’s code, so yeah, it’s a pretty solid free resource, and obviously a good one if you are interested in Android development. Has some more advanced topics as well including distributed systems and web security. All together Google Code University as full of excellent resources for code learning, including tutorials, introductions, courses, and discussion forums. Code School is an online learning platform that teaches a variety of programming and web design skills. Courses range from beginner to advanced levels and you get to earn rewards and badges as you learn. Many of Code School's courses are paid, but they do offer rare gems like Rails for Zombies that are worth checking out. Webmonkey is a popular online tutorial website composed of various articles on building webpages from backend to frontend. The site covers many aspects of developing on the web like programming, database, multimedia, and setting up web storefronts. The content presented is much like Wired magazine but for learning to design web content. Webmonkey has content applicable to both advanced users and newer internet users interested in the underlying technologies of the web. In 1999, it introduced Webmonkey Kids, a web design tutorial site for children. Open Educational Resources (OER) are teaching and learning materials that you may freely use and reuse, without charge. Open Educational Resources are different from other resources a teacher may use in that OER have been given limited or unrestricted licensing rights. That means they have been authored or created by an individual or organization that chooses to retain few, if any, ownership rights. For some of these resources, that means you can download the resource and share it with colleagues and students. For others, it may be that you can download a resource, edit it in some way, and then re-post it as a remixed work. 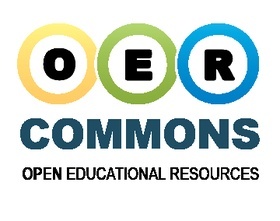 OER often have a Creative Commons or GNU license that state specifically how the material may be used, reused, adapted, and shared. You can find programming courses from the Saylor Foundation, Teacher's Domain, and more in this directory of open education. Mozilla Foundation's School of Webcraft is a Peer-Powered school that offers free web development education. 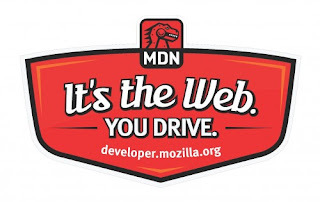 Mozilla's mission is to keep the web open, and to enable anyone to take part in building it's future. 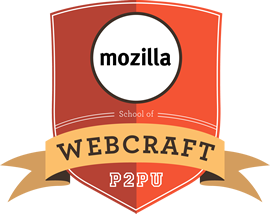 In School of Webcraft you can earn badges backed by Mozilla, that highlight your technical and community skills to your friends, colleagues and potential employers. School of Webcraft Badges are easy to display on your personal website, online profiles, and CV and use the Open Badges framework, a way to record, track, and display your skills and knowledge across the web. Wikiversity is a learning community. 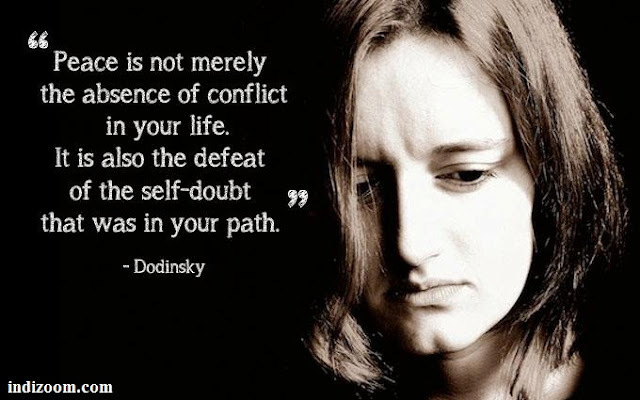 Learning and discovery are vital, ongoing aspects of life and society. The Wikiversity community aims to further the discovery and distribution of knowledge in a very natural way, by helping people to learn and to share learning resources. You can use Wikiversity to find information, ask questions, or learn more about a subject. You can explore knowledge at Wikiversity through advanced study and research. You can also use Wikiversity to share your knowledge about a subject with others by building learning materials. Through Wikiversity's School of Computer Science, you'll be able to study techniques for programming in computer systems. Wikibooks is a Wikimedia project for collaboratively writing open-content textbooks that anyone, including you, can edit right now by clicking on the edit link that appears near the top of each Wikibooks page. Check out the Computer Programming section of Wikibooks to find resources in just about every coding language. Landofcode.com began its existence with the purpose of providing free information on web development. To be a useful tool for those who want to learn how to build their own website, as well as those who already have such knowledge and want to expand it further. You can Get an introduction to programming from Landofcode, with practice resource, reference, tools, and how-to's. 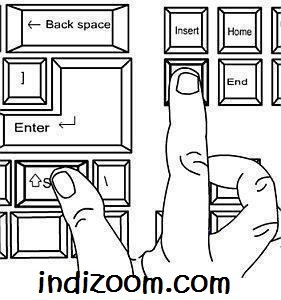 Lifehacker is a weblog about life hacks and software which launched on January 31, 2005. The site is owned by Gawker Media and covers Microsoft Windows, Mac, Linux programs, and sometimes Android (operating system) applications. In one of its posts offers a concise guide to learning code, with 4.5 lessons offering the basics of programming. Academic Earth is a website launched March 24, 2009, by Richard Ludlow and co-founders Chris Bruner and Liam Pisano, which offers free online video lectures from universities such as Harvard, Stanford, MIT, UC Berkeley, UCLA, Princeton and more. 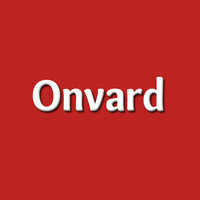 Onvard helps you learn something new when you don't know where to start. 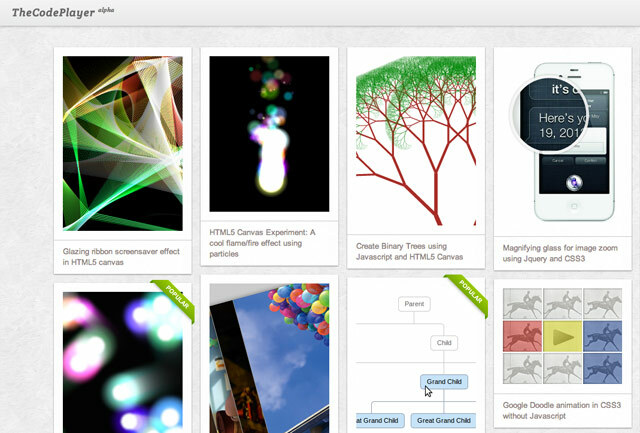 Onvard offers a self-guided resource for learning different tracks, including Ruby on Rails, HTML, PHP etc. WiBit.net is a video tutorial web site offering cutting edge programming and computer tutorials. They specialize in focused and linear content. WiBit is a great place to start learning how to program, or to pick up new skills even if you've been at it a while. 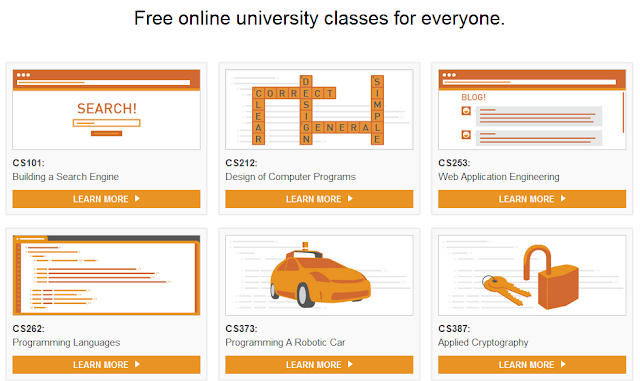 Wibit.net shares several courses and videos offering free education in programming, especially C, C++ Cand Java. On Learn Code The Hard Way, you'll find books and courses to learn Python, Ruby, C, SQL, and Regex. 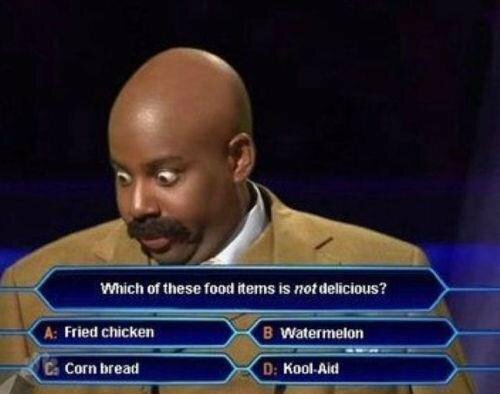 Although courses aren't free, the books are. The New Boston offers an incredible collection of video tutorials for all types of programming, including iPhone and computer game development. Scratch is a programming language that makes it easy to create your own interactive stories, animations, games, music, and art -- and share your creations on the web. Scratch is a free downloadable program developed by the MIT Media Lab that helps young kids build interactive stories. If you’re interested in developing for Apple products, it’s a great idea to head over to to Apple’s developer site to see what all the fuss is about and learn from the resources Apple has made available online. The resources help software developers write software for the Mac OS X and iOS platforms. Google’s Android developer site continues to improve, and includes videos from Google I/O as well as section that goes over best practices for designing apps. 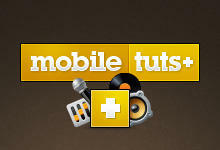 Mobiletuts+ has free tutorials/blog posts on Android and iOS as well as other mobile-centric needs such as design and also has a premium (paid) service as well. Treehouse brings affordable Technology education to people everywhere, in order to help them achieve their dreams and change the world. From their Library you can learn everything necessary to build basic website from scratch which is available to everyone for free of cost. 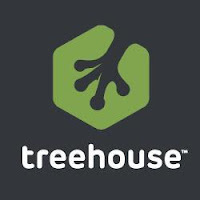 Treehouse also offer over 600 videos that you can watch for a small monthly fee, as well as a premium subscription that offers more features. Learn how to code on these sites with a heavy community influence ready to offer help to newbies. Start you love affair with tech today. Skillcrush is a community-driven, fun way to make your tech dreams come true and share those dreams with others. From here you learn how to develop anything you want with this site, offering explanations of terms, resources, and cheat sheets. GitHub is the best place to share code with friends, co-workers, classmates, and complete strangers. Over two million people use GitHub to build amazing things together. GitHub Originally founded by Tom Preston-Werner, Chris Wanstrath, and PJ Hyett to simplify sharing code, GitHub has grown into the largest code host in the world. This Q&A community, programming is one of the most popular subjects, offering users a great way to learn from peers. While it technically doesn’t have “tutorials” there is a ton of (easily searchable) info on Stack Overflow that can be of great help once you get going. Also, if you ever get stuck on something (and the answer isn’t already there) the community is very good at answering questions. CodeProject is a community of Software development and Design developers joined together with certain common goals: to learn, to teach and to have fun programming. Developers from all over the world come together to share source code, tutorials and knowledge for free to help their fellow programmers.This incredible development resource offers articles, discussions, quick answers, and tips for programming. Learn how to code for free with the help of a personal mentor on Village88. You can even get certified and find a job through the site. Dream.In.Code (DIC for short) is a leading online community for programmers and web developers. Members have free access to thousands of programming tutorials, code snippets, forum topics, and more! 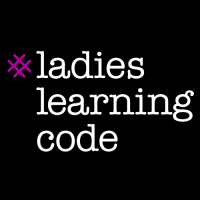 Join this community, and especially the email list, to find tech help and resources for code learning. Programr is the world's online playground for programmers. At Programr you can code, run & share all type of apps - console programs, webapps, rich media apps and mobile apps - completely online. Programr makes it very easy for you to learn new technologies, sharpen your programming skills and showcase your talent to the world. In this IT community, you'll be able to start projects, join contests, and more, all for developing your programming skills. Drill down to the language you really want on these sites, offering expansive learning in one or two specific languages. A resource for developers looking to put HTML5 to use today, including information on specific features and when to use them in your apps. The site has a lot of free info on HTML5, including blog posts, and tutorials etc. 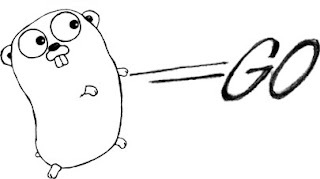 Go is an open source programming environment developed by Google Inc. that makes it easy to build simple, reliable, and efficient software. You can have a 'Tour of Go' for learning the basics of it. Dart is a class-based, object-oriented language with lexical scoping, closures, and optional static typing. Dart helps you build structured modern web apps and is easy to learn for a wide range of developers. 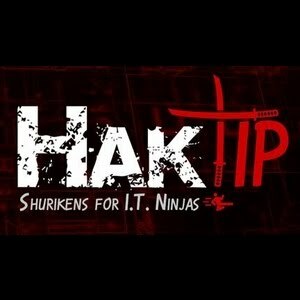 You can learn the language from the tutorials, articles etc. Explore Ruby code with this site, offering an interactive tutorial and editor that allows you to check it all out. 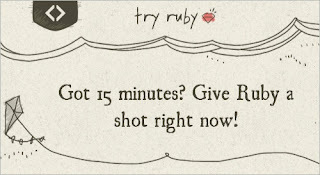 KidsRuby makes it fun and easy to learn how to program. 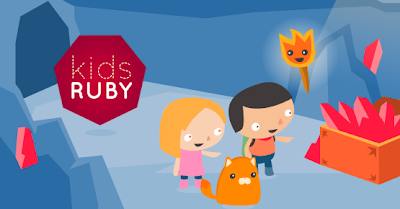 KidsRuby includes several of the best resources on the web for kids and learning Ruby. They are built right in so you do not even need an internet connection. How cool is that? PySchools is a Python Tutorial webpage created using Google App Engine. 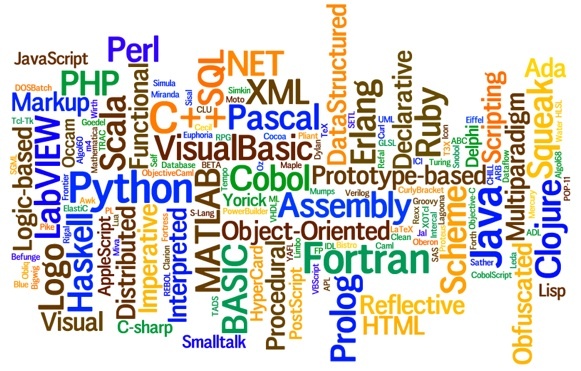 This is a webpage for beginners to learn the Python programming language. Check out Pyschools to find practices, challenges, and other resources for learning Python. 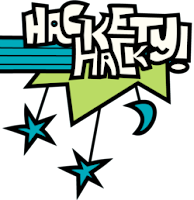 Hackety Hack will teach you the absolute basics of programming from the ground up. No previous programming experience is needed! With Hackety Hack, you'll learn the Ruby programming language. 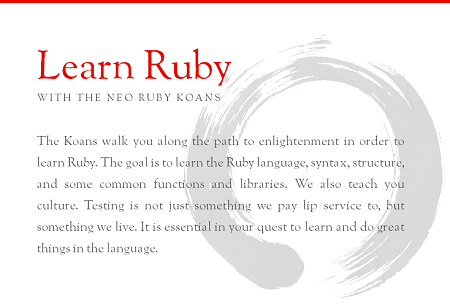 Ruby is used for all kinds of programs, including desktop applications and websites. Learn how to code HTML and CSS through fun exercises and games on CodePupil. Learn Python offers a free interactive Python tutorial, for beginners and experienced programmers alike. 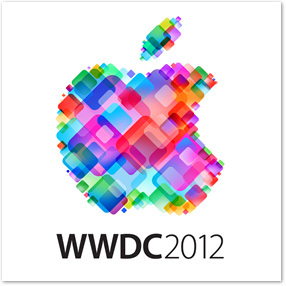 Check out Apple Developer's collection of more than 100 session videos from the Apple Worldwide Developers Conference. 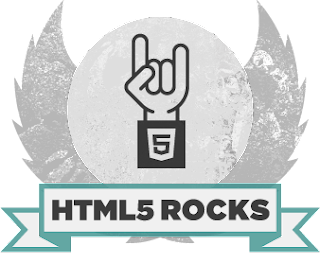 Html5Doctor publish articles relating to HTML5, its semantics, and how to use it right now. If you have any questions relating to HTML5 and how to implement it, just ask the doctor!